Amazon Fulfillment Centers are bustling hubs of innovation that allow Amazon to deliver millions of products to over 100 countries worldwide with the help of robotic and computer vision technologies. 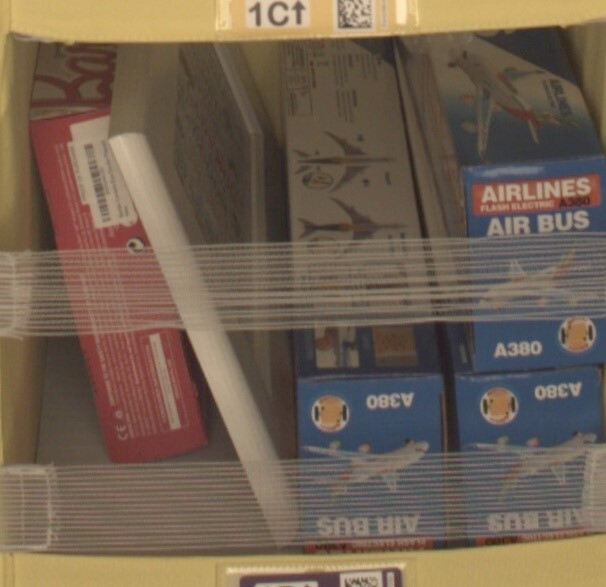 Today, the Amazon Fulfillment Technologies team is releasing the Amazon Bin Image Data Set, which is made up of over 1,000 images of bins inside an Amazon Fulfillment Center. Each image is accompanied by metadata describing the contents of the bin in the image. The Amazon Bin Image Data Set can now be accessed by anyone as an AWS Public Data Set. This is an interim, limited release of the data. Several hundred thousand images will be released by the fall of 2016. The Amazon Academic Research Awards (AARA) program is soliciting computer vision research proposals for the first time. The AARA program funds academic research and related contributions to open source projects by top academic researchers throughout the world. Proposals can focus on any relevant area of computer vision research. There is particular interest in recognition research, including, but not limited to, large scale, fine-grained instance matching, apparel similarity, counting items, object detection and recognition, scene understanding, saliency and segmentation, real-time detection, image captioning, question answering, weakly supervised learning, and deep learning. Research that can be applied to multiple problems and data sets is preferred and we specifically encourage submissions that could make use of the Amazon Bin Image Data Set from Amazon Fulfillment Technologies. We expect that future calls will focus on other topics. Awards are structured as one-year unrestricted gifts to academic institutions, and can include up to 20,000 USD in AWS Promotional Credits. Though the funding is not extendable, applicants can submit new proposals for subsequent calls. Project proposals are reviewed by an internal awards panel and the results are communicated to the applicants approximately 2.5 months after the submission deadline. Each project will also be assigned an Amazon computer vision researcher contact. The researchers are encouraged to maintain regular communication with the contact to discuss ongoing research and progress made on the project. The researchers are also encouraged to publish the outcome of the project and commit any related code to open source code repositories. Learn more about the submission requirements, mechanism, and deadlines for the project proposals here. Applications (and questions) should be submitted to aara-submission@amazon.com as a single PDF file by October 1, 2016. Please, include [AARA 2016 CV Submission] in the subject. Awards panel will announce the decisions about 2.5 months later.